Hybrid Electric Vehicle Technology provides foundational information about vehicles that use more than one propulsion technology to power a drive system. This textbook is filled with technical illustrations and concise descriptions of the different configurations and vehicle platforms, the operation of various systems and the technologies involved, and the maintenance of hybrid electric vehicles. Safety precautions required used when working around high-voltage vehicle systems, especially in emergencies, are highlighted. 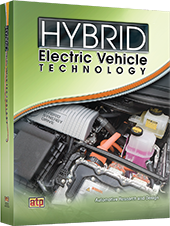 A CD-ROM is included with Hybrid Electric Vehicle Technology and contains information to supplement the textbook.